Powers' classic comic novel of the 1960s Catholic subculture stars Eddie Ryan, a Chicago boy who learns about the important questions in life in his years at an all-boys Catholic school on Chicago's South Side. He views it all through the prism of his Catholic mentality, which often deepens the mystery but sometimes clarifies it. This new edition of Do Black Patent Leather Shoes Really Reflect Up? includes a new introduction as well as discussion questions designed to help deepen the reading experience for both individuals and reading groups. Growing up on Chicagos South Side in the 1960s, Eddie Ryan is learning a lotand not just from the Brothers at his all-boys Catholic high school. Eddies world is populated by peculiar adults, oddball classmates, and puzzling girlsthe greatest mystery of all. He takes it all in through the prism of his Catholic upbringing, which often deepens the mystery, but sometimes clarifies it, too. Entering Eddie Ryans world will delight not only readers who grew up there with him, but also those too young to remember. This new edition of Do Black Patent Leather Shoes Really Reflect Up? includes a new introduction as well as discussion questions designed to help deepen the reading experience for both individuals and reading groups. John R. Powers was born in 1945 on the South Side of Chicago. He earned a BA in sociology from Loyola University Chicago and an MA and a PhD in communications from Northwestern University. He wrote his doctoral dissertation on Studs Terkel, a Chicago radio personality and writer known for his oral histories (Hard Times, The Good War). Powers was a professor of speech and performing arts at Northeastern Illinois University for six years. He also created and hosted a number of specials for Chicago public television during this time. Powerss stories first appeared in the form of articles written for Chicago magazine. The novels followed in quick succession: The Last Catholic in America, Do Black Patent Leather Shoes Really Reflect Up?, and The Unoriginal Sinner and the Ice-Cream God. He has written one other novel, The Junk-Drawer Corner-Store Front-Porch Blues, as well as Odditude: Finding the Passion for Who You Are and What You Do. He and his wife, JaNelle, have two daughters, Jacey and Joy. He lives in Lake Geneva, Wisconsin, and is a motivational speaker. 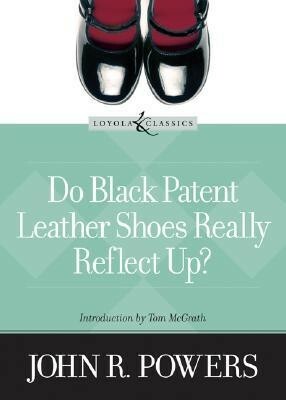 I'm the author/artist and I want to review Do Black Patent Leather Shoes Really Reflect Up?.